This is Sinny Feliz and Eduardo Garcia, interns at the Northern Manhattan Coalition for Immigrant Rights (NMCIR), reaching out to all DACA recipients who filled out their DACA applications through our organization. 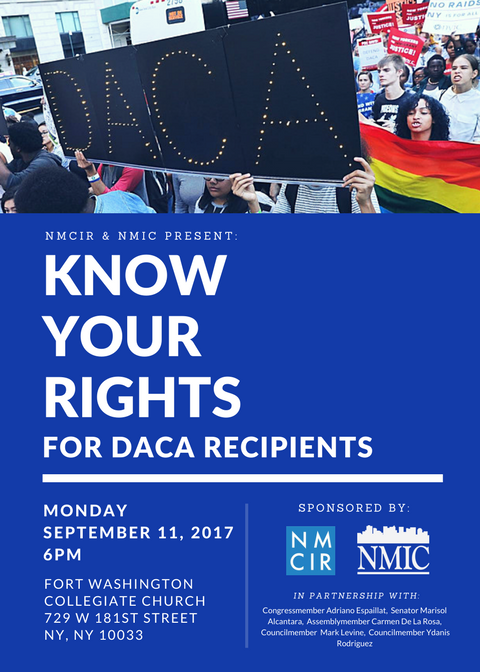 As you may or may not be aware, the current administration had a lot to say about the future of DACA on Tuesday, September 5th, and we have to act fast! As DACA recipients ourselves, we are just as concerned about the future of DACA and will do everything to make sure everyone is fully aware of what our future with DACA may hold. 1. When does your Work Authorization Card expire? 2. Any concerns/questions that you may have. 4. Want to share your story or organize with us? Just email your information or call us at 212-781-0355. 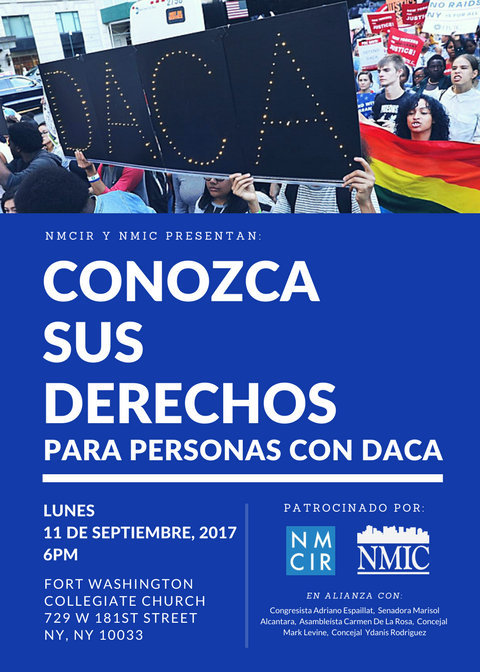 We would also like to put together a planning committee that will organize/advocate around DACA. If you are interested then please let us know. I encourage you all to be involved, don’t be afraid to ask questions and spread awareness. Knowledge is the one thing no one can take away from us! We hope to hear from you soon. Please note we will be calling everyone to check-in and see if there is anything we can do like make an appointment to renew.